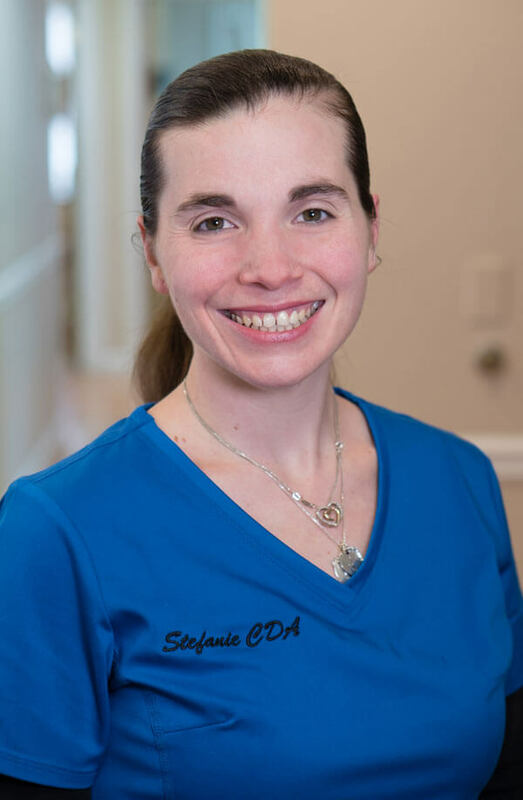 Stefanie has been treating smiles at Family Dentistry of Yorktown since 2001, where she started out as an assistant while obtaining her masters degree in special education and also has her CDA. Her title of “Office Manager” is misleading because Stefanie is the office Jill – of – all -Trades!! She loves making her patients feel at home and treats each person like a member of her own family. Outside the office she loves spending time with her husband Doug and her two sons Matthew and Nathan.